Our air cools Smart Desktop Laser Marker is highly customizable and with its good quality and high laser resolution of up to 1,200 dpi. It can easily personalize ePassports or smartcards that is made of Polycarbonate, ABS, PET or PETG with or without chip. 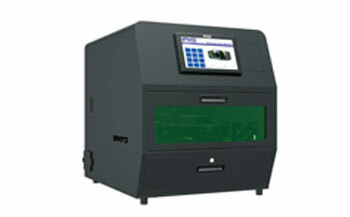 Its Class 1 secure marking system also ensure world-class security by enabling security features such as secure documents that further make this produce one of the most powerful desktop laser marker with the smallest footprint available on the market today. The integrated camera system ensures sophisticated vision and positioning system by allowing correct alignment of the printed text, images and machine-readable information. Optional features such as RFID or smart card contact modules can be easily added to meet your needs too! Our eco-friendly laser markers does not require any consumables and requires only minimal maintenance, further saving costs in the long run with a warranty of up to 10,000 hours or 14 months.